Pinelopi Pavlopoulou played every European Championship with Greek National Team since 2011 and she shone with 12.7 points, 4.7 rebounds, 3.6 assists and 4.9 steals per game in the 2014 U18 European Championship and 13 points, 6 rebounds, 4.1 assists and 3.3 steals per game in the 2016 U20 European Championship. 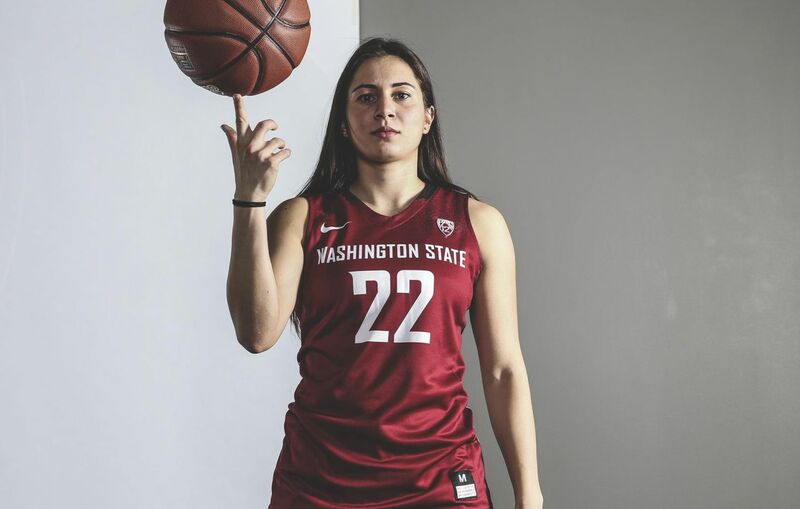 At clubs level, Pinelopi played in Greece until 2014 and after that she moved to Washington State University and she averaged 8.2 points, 3.7 rebounds and 2.9 assists per game as a junior (reaching WNIT Final Four) and 6.5 points, 2 rebounds and 2 assists per game as a senior. With Greek Senior National Team, Pinelopi Pavlopoulou was an exciting player in the 2018 World Championship and she averaged 7 points in 18 minutes per game with excellent 72% from the field and 66% from 3 point range. In the 2018/19 season, Pinelopi signed with Olympiacos and she qualified her team for Euroleague, competition in which she averaged 7.2 points, 2.5 rebounds and 2.2 assists in 24 minutes per game, having good games against Charleville (12 and 14 points) and Dynamo Kursk (13 points).